Either at a grocery store or tube station in the heart of big cities like London or Berlin, it’s easy to bump into an electronic artist, given the high density of techno’s creative minds in those metropolises. The artistic and partygoing appeal of large cities in the UK, Germany, Benelux, Italy, Austria and USA has been dominating the scene for over 20 years but gradually other locations have gained importance, often boosted by a few artists that brought the country to the map – like Sähkö in Finland. I’m not sure how many techno producers per square mile are found in Athens, but Greece is definitely not a white spot on the global map of electronic music. One can’t ignore the role of synth wizard Vangelis and dub techno professor Konstantinos Soublis aka Fluxion but it’s not only them. A closer look at the current scene tells its becoming more vibrant. Good examples are labels like Modal Analysis, Nous, Lower Parts, Echovolt and many more. Artists like Stef Mendesidis, Stathis Kalatzis aka Mr. Statik aka The Magnecian, Kondaktor aka Slydex, Sawf, to be continued. 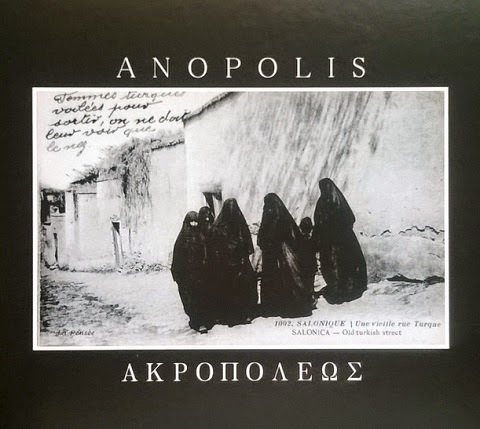 To the previous we can add Alex Tsiridis, one half of the techno duo Cassegrain, then London’s enigmatic conglomerate of Berceuse Heroique / ΚΕΜΑΛ and also Dimitrios Ploumpidis from the industrial techno duo AnD’s has most probably Greek roots. “ΑΚΡΟΠΟΛΕΩΣ” was a truly appealing platter of acid house in Greek style, conceived by Anopolis, a producer collective from Thessaloniki. “Edict” by Stef Mendesidis, a revelation on Semantica’s recent “Exhibition Design 2.5” compilation.